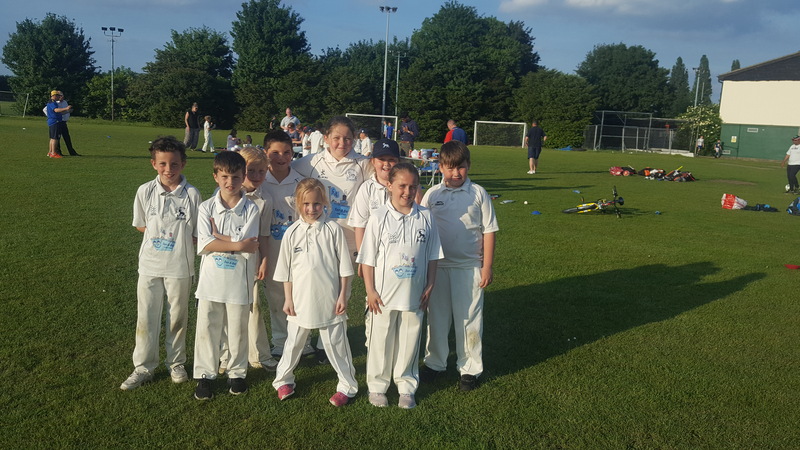 Goresbrook’s Under 9’s visited Upminster at Coopers Coburn & Company School for this friendly fixture. Batting first opening pair Ollie Fredericks (5) and Riley Scott (1) got ‘Brook off to a solid start. Following some steady middle order batting, Riley Biggs who top scored with 11, Zoe Guilfor (7 nt) and Imbyanesy Arularasan (2 nt) provided the sting in the tail as the visitors closed on a net score of 264 under Terriers Rules. After the drinks break Ollie Fredericks (2 for 17) and Imbyanesy Arularasan (2 nt) excelled with the ball whilst accurate spells from Maggie Smith, Bella Boland, Micky Benson and Ryan Bucktrout complemented by a superb run out from Zoe Guilfor kept Goresbrook in the hunt but Upminster’s depth of batting eventually told, clinching the hosts victory by 63 runs.